Owing to our expertise, we are offering Metallized Laminate. 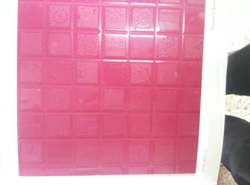 This product is broadly used due to top quality and long lasting nature. Understanding the demands of customers as a reliable organization, we are offering Metal Laminates. Provided in different specifications, our offered laminates are manufactured in accordance with the industry set guidelines. Moreover, we aim to dispatch the entire range in committed time-period at the clients' premises. Your favorite photos can now be laminated and mounted, ready to adorn your house's walls or your desk! 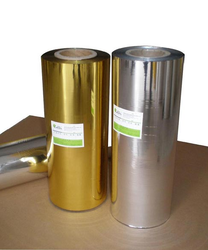 We are offering wide assortment of Metalized Lamination Film. These are available in different specification. Our window metalized films are transparent, reflective and weather-resistant. They have high resistance towards temperature, scratch, chemical and elongation. Being the reckoned names in the industry, we deliver wide array of Metal Laminate that are quality assured and are designer in patterns. Our entire product range is quality approved and ensures flawless finishing. Offered product line is quality tested on varied parameters before the procurement thereby ensuring its longevity. Welcome to the superior world of ALSTRONG ACPs, where your imagination becomes our trsyt with experiments, quality fidelity becomes our forte and your satisfaction becomes our assurance. We offer a plethora of product variants which enables you to navigate through and choose the most optimum product for your requirements. We are well-known firm of Biscuit Metallic Laminate. In addition, quality experts also check the quality of this product on varied industry standards. Besides, we offer this product at nominal costs. We have got excellent various types of finishes of laminate like Glossy, Suede, Matt and Embossed with most stylish pattern and attractive color / shades.